The Auckland lounging range represents the very best in contemporary design. 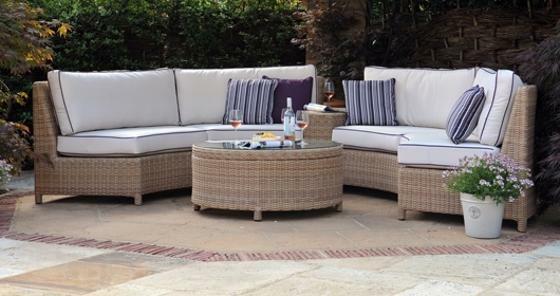 Available in Light Bonano Weave with a range of functional and attractive accessories this range will set the scene for many a leisurely outdoor occasion. Alternatively create a cosy corner in your garden or patio area with the curved Auckland Luna the arc shaped sofas provide plenty of seating and combine with an arm height table a central coffee table and a leg rest.